Why it matters: Most in-game holiday updates involve massive content rollouts or one-off events but with Red Dead Online, Rockstar has taken a more subtle approach - almost Easter egg-ish. Sometimes, less is more. Rockstar Games is spreading the seasonal cheer with its latest update to Red Dead Online. 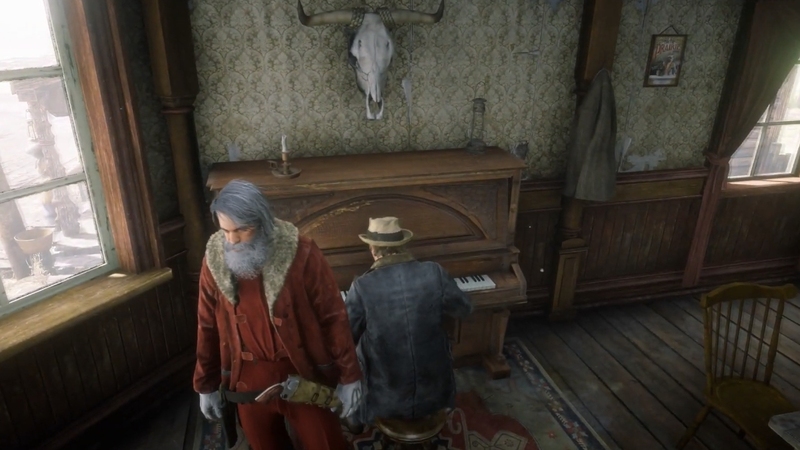 The subtle Easter egg adds a wide range of traditional Christmas carols to the arsenal of NPC pianists scattered across the game’s bars and saloons. The holiday event includes familiar favorites like Deck The Halls, Silent Night, We Three Kings, O Holy Night and Away in a Manger, just to name a few. Some songs even have multiple renditions as highlighted in a compilation video from YouTube user Tony StrongStyle. Others on Reddit claim to have seen banjo and guitar players also strumming out holiday tunes.